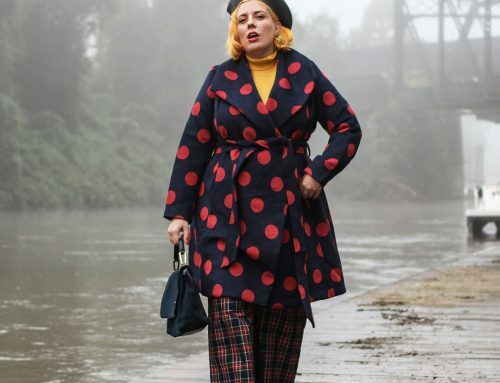 A Mix of Vintage & Contemporary Plus Size Style. Home/fashion editorial, plus size, PlusSize, Shoes, Style/A Mix of Vintage & Contemporary Plus Size Style. 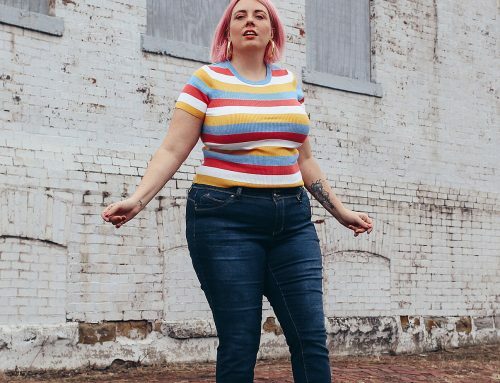 Mixing Vintage & Contemporary Plus Size Styles for transitioning from Summer to Fall. I have always mixed vintage with contemporary clothing. 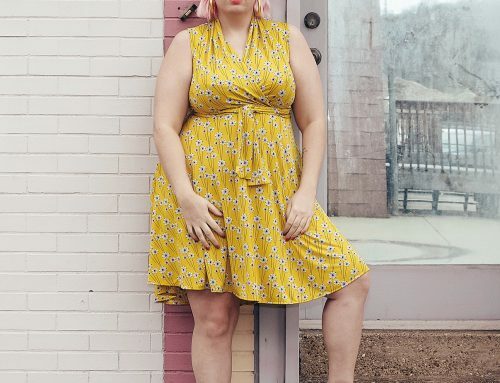 Mixing old and new began as an economical necessity and as a supplement to the abysmal plus size clothing available during my college years. While a teen living at home I used to fill up garbage bags with clothes for $5 or less at garage sales. I used these bags of vintage clothing to attempt to recreate the looks I saw in Vogue magazine. What started as a teen interest has stayed with me as an adult. While I love the thrill seeking adventures in thrift stores (lol), I also love to study trends and have a constant wish list of new articles of clothing I want. I pick and choose what trends to participate in (It’s fun! ), yet I am unconcerned if I am in style. Below I share three outfits I have worn this week as I am transitioning from summer to fall. These looks were greatly inspired by my new Main & Central glasses from Coastal.com and my new bob haircut! Both would look at home in a vintage photo and also in a Fall 2017 magazine. Disclosure: This post may contain affiliate links that when clicked on may result in a small commission to this site, but all opinions are mine. Outfit #1: Early 80s love! I mixed vintage thrifted shorts (the brand is Lady Orbit! What a name!!!! ), a contemporary vintage style ringer and white Converse Unisex Chuck Taylor All Star Low Top. The result is a super simple casual outfit that looks like it’s from another decade. If these were new shorts, I’d be complaining that the shorts show the seam of the tucked in shirt. But they were $2.99. It’s fine. The Coastal.com frames that inspired my outfit! This is my second pair from the Main and Central collection. I want more. I am wearing size large. For my second outfit: I paired a Thames Fog top from Universal Standard with a red Wacoal Women’s Halo Underwire Bra, thrifted vintage wool plaid Blair brand culottes, Torrid sandals, and a vintage plastic Sassettes tote. 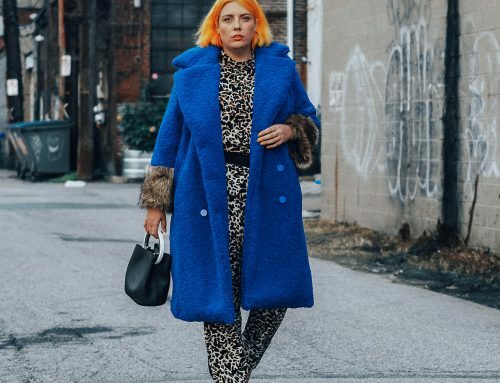 Definitely a statement outfit. Color schemes are really fun to work with. This sheer Universal Standard top is one of my favorites. I found it too warm to wear in the summer, so I’m excited to have proper weather to wear it! I about passed out when I found these vintage wool culottes. I have been on the hunt for something similar my entire life! Waiting for a bus. Not really. Outfit #3: Autumnal Easter Egg love! 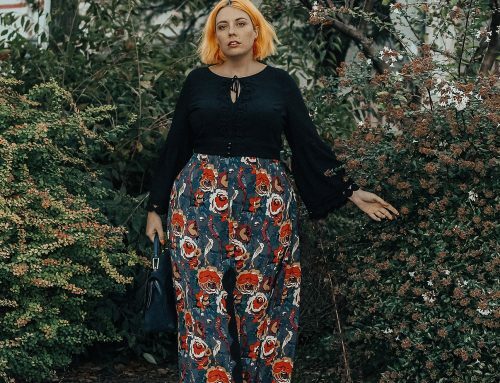 For my third outfit I mixed a floral jacket from Xehar Curvy, a #NoBabies T-shirt from the Traveler Broads x Neon Beige, vintage thrifted pants, and Poetic Licence Women’s Feminine Encounters pumps (see more on how I style these shoes here). Not fall colors. Not caring. I have been wanting to show more reclining and seated babe photos. If you are new to mixing new and old, don’t be afraid to try it. It’s fun! Years ago I did another blog, Dear James All the Best, where I gave tips on how to shop for clothing at thrift stores. Let me know if you want to me to revisit those tips and share them with you. I’m happy to help out! IF YOU LIKE THIS PLEASE SHARE ON PINTEREST OR TWEET! A revisit of thrifting how tos would be most excellent! Thank you! I’m excited to see how you layer this year! I’m so down for tips about how to shop at thrift shops, I love how you mix new and vintage clothes! Also I adore your new bob haircut, you really pull it off!!! Love all of these looks. Especially those wool culottes!! My current vintage/modern love is modern tees with vintage novelty skirts and some chucks. Thank you! I wear your current uniform a lot as well! Love vintage novelty skirts! These photos, and outfits, are so fun! Thanks for some inspo this week! I will right away seize your rss feed as I can’t to find your e-mail subscription hyperlink or newsletter service. Do you’ve any? Please permit me recognise so that I could subscribe. Thanks. You have a knack for mixing modern with vintage, I find this challenging. 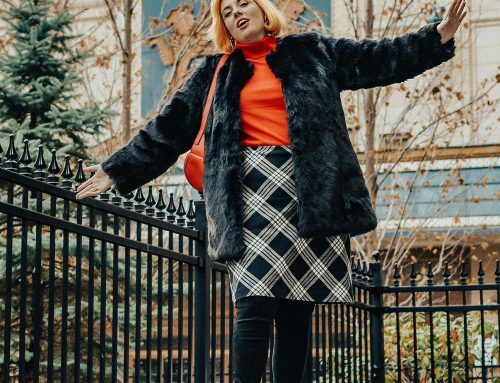 Don’t find many vintage plus size clothes in Chicago.